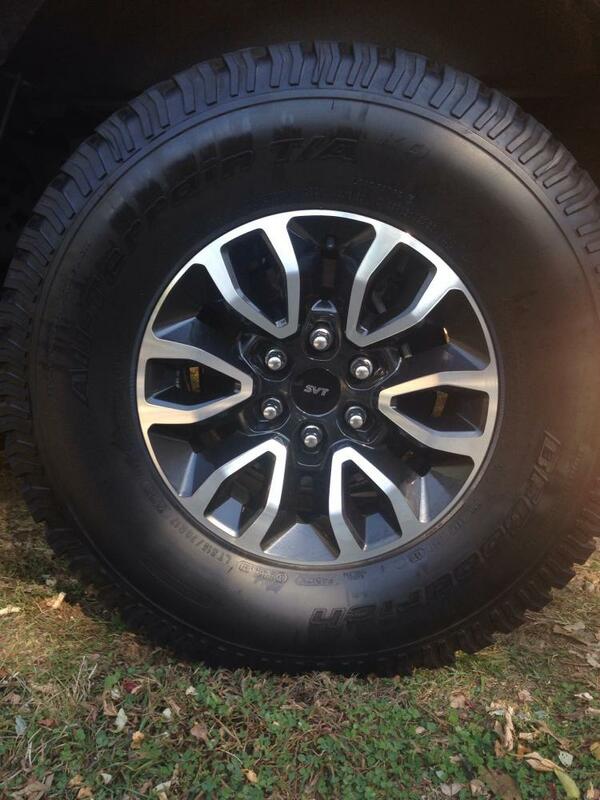 FS 2012 Ford Raptor Wheels,Tires, Center Caps, TPMS, and Lugs. - Ford F150 Forums - Ford F-Series Truck Community. FS 2012 Ford Raptor Wheels,Tires, Center Caps, TPMS, and Lugs. Member's Classifieds This is the place to buy and sell. Make sure and read the 'Rules' that are sticky'd in this section or your posts/threads may be removed. I have for sale 5 OEM wheels and tires in the condition described bellow, 24 OEM lug nuts, 4 SVT center caps, and 4 TPMS still installed on the rim. They are located in NJ and I am more then willing to ship. I work for Old Dominion Freight Lines and will be more then happy to give a shipping quote to any one who is interested. I am asking for $1600 before shipping. as for condition the tread life of the DS front 53.7%, PS front 71.3%, PS rear 50%, DS rear 53.7%, and the tire on the spare rim 100%. Quick Reply: FS 2012 Ford Raptor Wheels,Tires, Center Caps, TPMS, and Lugs.